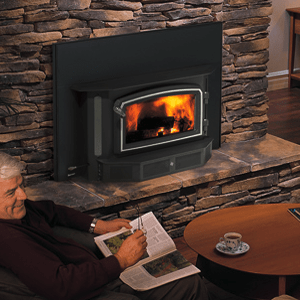 Get The Most From Your Wood Fire With A New Wood Insert! 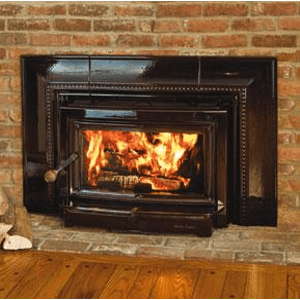 Is your fireplace sending most of the heat up the chimney? Are you burning through wood faster than you should be?  Is your old fireplace causing you more trouble than it’s worth? 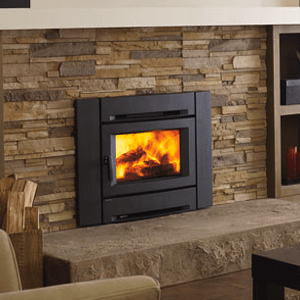 There’s no need for a full rebuild — simply have a wood insert retrofitted into your hearth and start reaping the efficiency and environmental benefits of a modern wood insert! With a wood insert, you’ll enjoy a cleaner, more complete burn, less cleanup, and a higher output of heat – what’s not to love? 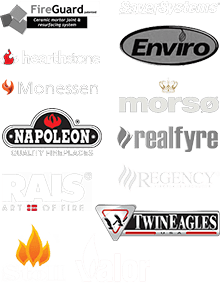 Here at Olde Towne Chimney & Fireplace Sales, we carry top names like Napoleon, Hampton, Regency, Hearthstone, Buck Stoves, and Morso. Stop by our showroom today and let our experts show you the best wood inserts on the market! We’re also here to help make your shopping experience as informed and stress-free as possible, and to answer any questions you may have – just give us a call at 812-284-0123. Adding an outdoor wood-burning fireplace can take enjoyment of your home to a whole new level. This could be the best investment you ever make in a wood-burning appliance.